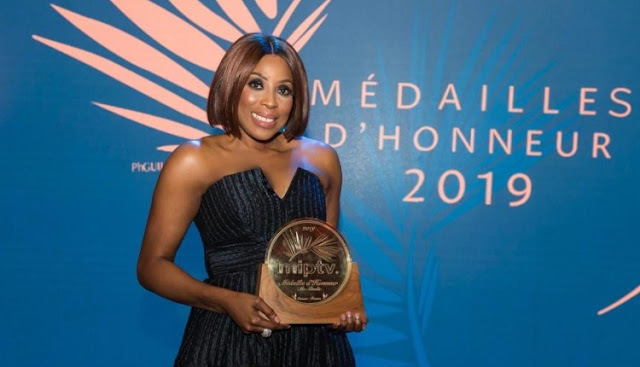 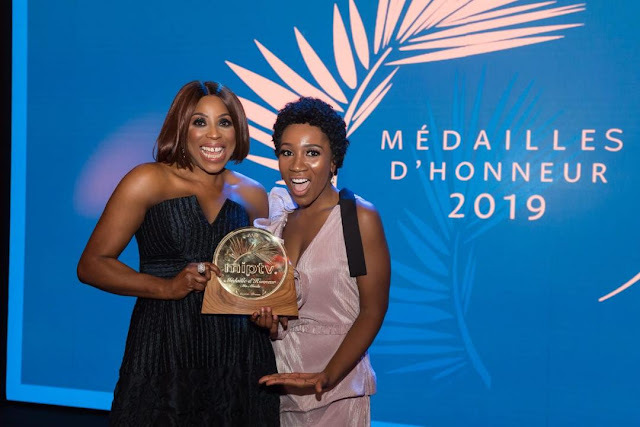 Mo Abudu was given the 2019 Médailles d’Honneur in Cannes at MIPTV on Monday night.. Sharing the stage with three other incredible people honoured with this award tonight – US writer, showrunner and producer, Ilene Chaiken, chairperson of the Banijay Group in France, Stéphane Courbit, and UK managing director of Sky Vision, Jane Millichip. A major part of my acceptance speech was dedicated to the creative business leaders in the room and the need for a partnership between our respective continents, so that our stories can be told with authenticity and produced to the best international standards. 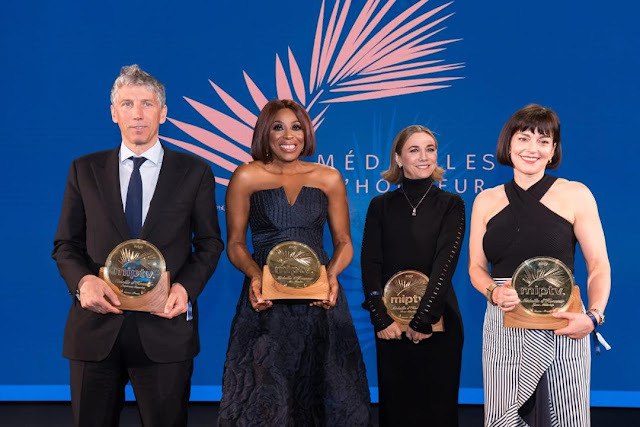 If these stories are told from both our perspectives there is a captive audience on both sides of the Atlantic waiting to be entertained as never before and with creative business leaders adding significantly to their bottom line!”Fellow recipients of the Médailles d’Honneur are US writer, showrunner and producer, Ilene Chaiken, chairperson of the Banijay Group in France, Stéphane Courbit, and UK managing director of Sky Vision, Jane Millichip. 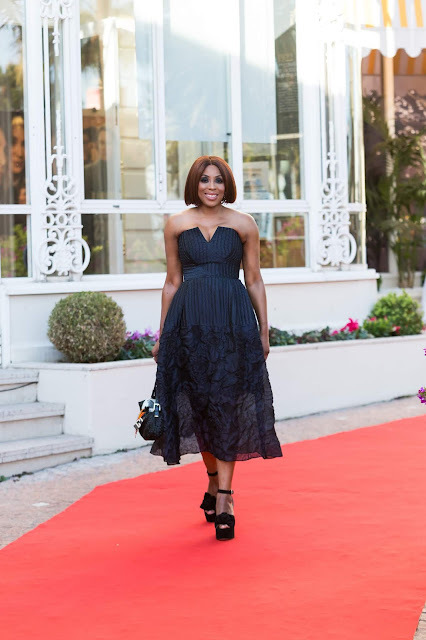 Previous article Realignment For Growth : Fidelity Bank Announces Appointments Of 3 New Executives.